Hard-won tips and observations about what works and what doesn’t. I’ve been on eBay over twelve years—the first few were simply as a buyer. Eventually I tried my hand at selling and was good enough at it to move a lot of my old stuff. As an eBayer I’ve seen and experienced many things that delighted me, some that disappointed me and a good quantity that irritates me to this day. As eBay has tried to evolve into something more than a Wild West, anything-goes-type of trading post it has alienated many basement- and garage-cleaners like me. This is primarily through their push to regard all their customers as professional dealers. This has forced a migration by their smaller sellers to their competition while volume-based companies have moved in–that all sell the same imported Chinese crap at less than desirable prices. eBay’s management has enabled dishonest buyers by allowing them to leave any type of feedback they want while preventing sellers from leaving honest feedback about their bad customers. They feel that, from a seller’s standpoint, the only type of buyer there can be is a “good” one—even if they’ve stiffed you on a payment, were very late on making payment, or fraudulently claimed to get defective goods and try to screw you out of your item while getting a refund. Yes, that really has happened—browsing the eBay Seller Central forums reveals all sorts of horror stories like these. Yet eBay claims these policies level the playing field for everyone. John Donahoe, eBay’s CEO, must have belonged to the generation who taught their kids that “everyone’s a winner, and everyone gets a prize.” Most eBayers believe that he needs to go and the sooner the better. So why do I and the other dedicated stalwarts who stick it out continue to do so? 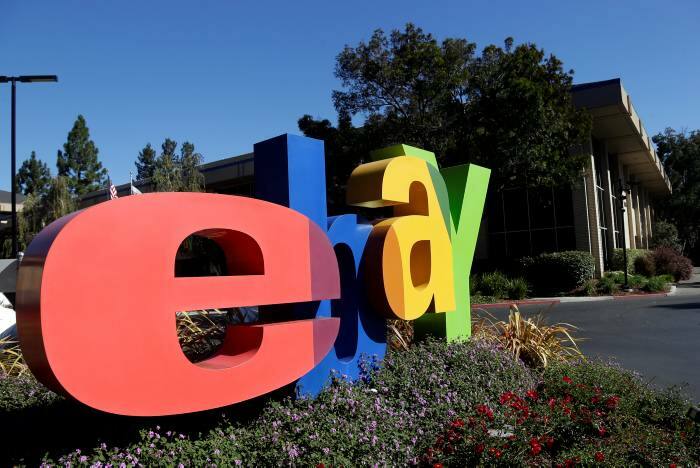 Despite the negatives, eBay is still the big player in online auctions and commands a significant amount of traffic. While other players like Amazon now allow the little guy to sell there, let’s be honest–not everything can be sold on Amazon. I can dump an old 386-class motherboard and ISA expansion cards or a broken camcorder on eBay that would gather no interest on Amazon. For people like me who have a LOT of that kind of merchandise eBay is where those types of prospective buyers reside…and so we stay. Over the years I’ve seen many poorly-designed auction listings. These design faux-pas range from poorly-worded ad copy to having crappy pictures (or the wrong ones!). I’ve tried to learn from these examples and make my auction items more appealing. I’m going to share some things I’ve learned with you to try and prevent more of these atrocities, and in doing so give you some tips to help you shop and sell your own stuff. 1. Get a good digital camera and learn to use it properly. Judging by the mediocrity or outright crappiness of many auction pictures a lot of sellers think their cell phone camera or cheap point-and-shoot is all they need. WRONG! Look at your own behavior as a shopper/buyer when you‘re evaluating items. How many things have you purchased that had blurry, darkly-lit or indistinct pictures? Probably not many, if any at all. If you’re a brave soul who took the plunge because the price was irresistible, how many of those items weren’t what you were expecting? If you’re like me you’ve probably tried at least once or twice; maybe you weren’t burned too badly. The simple fact is that good pictures go a long way in helping you sell your items. Make sure that whatever camera you choose can take in-focus and up-close pictures. You want the ability to fill the frame with your item, and it has to be sharp. Keep in mind that pictures of very small things require a camera/lens capable of “macro” photography. The inherent problem with macro photography is that, the smaller the item, the harder it is to keep the entire item in focus. That problem deals with something called “depth of field,” meaning the amount of space in front of and in back of the point you’re focusing on. A good photography tutorial will explain this better than I in this short article. In general, increased depth of field requires more light and a smaller aperture. If you take a picture of your item and its dark, throw some light on the item and try again. Place the item on a table by a window, or invest in a tabletop light tent in a kit with several lights. If you’re handy, make your own like I did. (Google using the terms: “build photo light tent.”) For lights I took the reflectors off a couple of clip-on utility lights and married them to some gooseneck table lamps from Lowe’s. For bulbs I used 100-watt equivalent spiral CFLs with a “daylight” color temperature between 5000 and 7000 degrees Kelvin. By building your own setup you’ll invest less than $50.00 and have the basic equipment to light and showcase all your items. The only downside of CFL lighting is that it’s not bright enough for fast shutter speeds. Why not use the camera’s built-in flash? If you have the experience, great! I don’t recommend it because, for most people, flash photography of “products” is difficult to do well. The most-often seen result is that the item is washed out (too bright). Flash photography can be done well, but it requires external equipment and more finesse than the typical eBay seller can (or is willing to) muster. Lower light levels mean longer shutter speeds which make it difficult to handhold a camera. Putting the camera on a cheap tripod (and using a remote shutter release or the camera’s self-timer) practically guarantees sharp photos. Isolate your item from other distracting things when taking your picture. People looking at your auction item want to see that thing alone, not how nice your living room is or that you’re drinking from a 49ers mug. If you have a stack of stereo equipment you’re trying to unload, PLEASE separate the items and photograph each one by itself. Being lazy by taking one picture and saying “only the CD player is in this auction—the other items are in their own auctions” is lame and says to the world that you’re an amateur. A corollary is this: if you’re photographing an item that is reflective or shiny, look to see what’s reflected on the surface of your item. By now I’m sure everyone’s seen the picture of the teakettle with the naked photographer reflected in it. Don’t be that person. Before photographing your items take a few minutes to clean them up. A clean item will photograph better and will bring more money than something you picked up off a dirt floor and blew on a couple of times. I’ve been burned a few times by sellers who only showed the good side of an item in a picture and didn’t disclose that the back half was partially melted. Or that it was missing its battery cover, had a hole drilled in it for who-knows-what reason, or a major crack in its plastic case. If you don’t have all the item’s parts, say so. If there really is a crack in the case or a seam in the pants is split, tell the prospective buyer up front AND show it in your pictures. Do you really think that the buyer will keep your wonderful P.O.S. once they discover the defect on their own? If you disclose the item’s flaws, the buyer will not only appreciate your honesty but have no excuse to come back on you for having a fraudulent auction. If you’ve listed an item’s flaws honestly, and spelled them out explicitly in word and picture, you can be reasonably assured that the buyer doesn’t care about purchasing a flawed item. You should also functionally test your item (if that applies) to make sure it works. A phrase like “I couldn’t test it because…” has become an inside joke among buyers and is interpreted as “It doesn’t work and I’m trying to screw you.” This also marks you as an eBay hack and someone to avoid. This requires a little work on your part but prevents you from looking like a clueless idiot. eBay has a tool called “What’s My Item Worth?” (You can search eBay help on the terms “item” and “worth” if the link doesn’t automatically appear on your main page.) With this tool you can find out what prices an item like yours have recently sold for. If most of the items came without all the accessories or their physical condition was poor, they might have been priced lower or brought less money than items that were complete with their original boxes, packing, and documentation. There are some items I’d wanted to list but changed my mind when I looked them up. My time was better spent taking those things to a thrift store. If you have a number of similar things that are valued low, you could also lump them together in a “bulk lot” and sell them in one auction. With that said you should be realistic with your pricing. I’ve been looking to pick up a dbx 3BX-DS dynamic range expander. The 3BX was made for years in a number of incarnations. On the model I want, most of the auctions start out low but end up bringing several hundred dollars. Yet I see the early 3BX units being priced hundreds of dollars higher than the newer units with more features. These overpriced older units don’t have a great sell-through rate. Be realistic. I’d like to get more money for some of my stuff too but I acknowledge that I won’t always get the amount I’d like. I enjoy writing creative descriptions and have used humor to sell things. I’ve never gotten a comment back about my writing style, and I’d like to think that someone has enjoyed my prose. However, I’ve never used cutesy-pie terms such as “minty” or “L@@K” in my item titles and descriptions. If you use either of these conventions there’s no question that you are an eBay loser. Why? When I see items with those terms in the titles I pass them by without reading the descriptions no matter how much I’d want them or how reasonably priced they are. I’m an average guy and I know that I’m not the only person with these dislikes. If I’m willing to turn away from an item I want based on this I know that others will too. Most people rationalize that a low initial price will get bidders into an auction early so they go with this type of auction. If the highest bid amount never meets the reserve price (meaning the least amount the seller would take for the item) by the auction’s end time, then the seller isn’t obligated to sell it. Let me ask the sellers who employ reserve prices this question: Have you ever been on the losing end of a reserve price auction? No? How would you feel if you had the highest bid on an item you really wanted to own but didn’t win the auction because your bid didn’t meet the minimum price? Reserve price auctions alienate customers. Make things simple for yourself and your prospective buyers. Run a regular auction but set your starting bid as the least amount of money you’d accept for the item. If it goes for that amount, great! If it goes for more it’s a bonus. Or, list your item in a fixed price auction for the amount you want. If you don’t sell the item it should tell you that your asking price is out of line. This simply means that you should make your shipping costs reasonable. Use the lowest cost shipping that provides the ability to track the shipment and gets the item to your buyer quickly. If the item’s valuable select the appropriate amount of insurance and include it in your shipping costs. It won’t cost you anything since your buyer pays shipping and provides great peace of mind. There was a widespread practice among vendors where they’d advertise an item for a low cost, say 99 cents, and then charge $30.00 for shipping. This was to avoid eBay fees. eBay then started charging fees that included the shipping costs, taking money out of legitimate seller’s pockets. Unfortunately some of these yahoos still persist in the practice. If you ship your item(s) free then ignore the above advice. But why would you ship free and lose money? I purchased an old laptop from someone who crammed it into a Priority Mail box and shipped it to me. There was no space around the item as it just fit into the box. They didn’t even bother to use a simple layer of bubble wrap for padding! Another seller sent me an Xbox 360’s outer case in a box that was slightly too small, so they wrapped it liberally with packing tape to hold it together. The best bad example was the guy who put a 60-pound subwoofer into a box using only foam peanuts for packing, then put that box into a bigger box with literally a handful of foam peanuts “separating” the two boxes. Of course the unit was trashed in shipping. Pack your item like you are shipping it to yourself. Put it in bubble wrap. Choose a sturdy shipping box that provides enough room around your item so that you can fill the space with foam peanuts. Tape the box well and, if the buyer should open a particular side of the box, mark that info on that side using a black marker. eBay says you have 30 days to ship. I list in my auctions that I will ship within three days of receiving payment and I keep my word. Ship your customer’s stuff promptly to keep them happy. I set up accounts with both UPS and the Postal Service. Because of this, I get preferred rates from UPS and by purchasing and printing the labels at home I no longer stand in line to ship things. When I have personal items to ship I can also purchase labels on-line to save time. Hopefully you’ll find some of these tips helpful in your own eBay dealings. My next eBay article will recount some of my purchasing experiences, both good and bad.